Friday 30th May 2014, 09:00 - 17:00. This interactive and participatory workshop will simulate real market conditions for software testing. The morning starts with an introduction to quick attacks (with some exercises), followed by an introduction to specification-based techniques (with some exercises). In the afternoon, we talk about where test ideas come from, including system capability, failure modes, usage scenarios, and other methods. From the there the class follows it’s energy. Possible topics include time management in exploratory testing, coverage models, how to document document defects, perform bug advocacy and triage, and communicate about risk and status. The workshop closes with a brief retrospective. After spending his adult life developing, testing, and managing software projects, Matthew Heusser went independent in 2011. Currently the principal consultant for Excelon Development, he coaches and does software development, with a focus on software testing and quality. 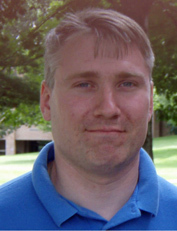 A contributing editor for STQA Magazine, Matt sits on the board of directors for the Association for Software Testing. In addition to his writing (most recently lead editor for “How to Reduce the Cost of Software Testing”), Matt has been a part-time instructor for Calvin College in Information Systems, was the lead organizer for the Great Lakes Region Software Excellence Conference, lead organizer for the workshop on technical debt, and founding instructor of the Miagi-Do School of Software Testing. Closing date for bookings is 27th May. No more bookings will be taken after this date.